A premier enterprise content management system for Intranets, Extranets, Business Portals, Mobile Apps and Public Websites. Titan CMS is ideal for small businesses as well as Fortune 500 companies. With Titan CMS, you get more than smart browser based CMS software to create and manage highly-effective, professional websites. You also get a diverse team of experts. Titan CMS has a long and stable history, thousands of users, and an unprecedented client retention rate. Titan CMS clients don’t leave. While other CMS platforms have come and gone, Titan CMS continues to grow. Organizations with rigorous security requirements trust Titan CMS. Our clients in healthcare, financial services, government and more rely on our secure CMS to safeguard their data, customer information, and integrated third party systems. Titan CMS has a robust security architecture that companies use for portals, intranets and more. You have complete control over your designs, imagery and messaging on Titan CMS. Content is still king, and Titan CMS lets you create and publish dynamic content whenever you wish. Titan CMS has built-in proximity location and map integration features so users can find you quickly. Quickly finding specific content, products and resources is key to an optimal user experience. Powerful data management tools allow for creation and management of all types of product catalogs. Titan CMS can handle dozens of websites within a single install, including workflow control. Ever notice how search on most websites is really bad? Track how visitors use your internal site search and provide the results they want. If you need to display examples of your work, Titan CMS has a variety of formats to choose from. A consistent user experience across all devices is mandatory. Titan CMS includes a full library of responsive options. For companies that need sales, dealer, and/or employee training and certification, Titan CMS can help you get there. "We have to react quickly to requests to create and/or update content. Titan CMS has the flexibility to deal with anything that is thrown at our internal team, whether it’s new pages, new interactivity, or a new mobile site. 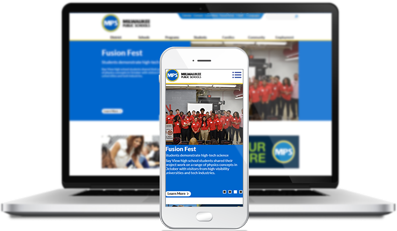 Creating mobile-friendly sites in Titan CMS is very streamlined and very simple." "The Northwoods team worked with us to develop sustainable solutions for several of our business needs. Given the frequency in which we update routine data on the site, we wanted to automate the population of this information. Rather than manually update the site as new daily, monthly, and quarterly data becomes available, the Northwoods team worked closely with us to build an infrastructure that allows us to streamline the pushing of new data. This has created significant time savings for our team." 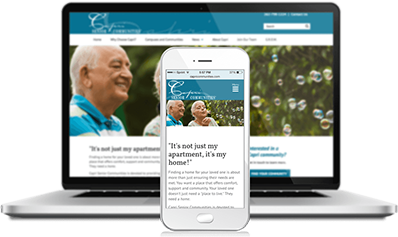 "At CelticMKE, we manage multiple websites on Titan CMS. All of them provide dynamic solutions to various technical challenges, from the Milwaukee Irish Fest site which relies on the powerful filtering of Titan to our Ward Irish Music Archive digital collections that integrate with third-party databases. 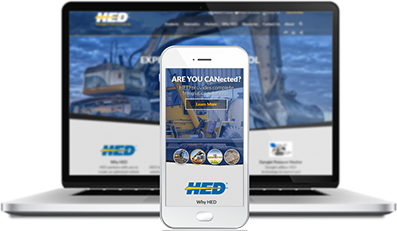 The end results are great looking websites that are easy to use and maintain." Get in touch with our experts to discuss how Titan CMS can help you. To help you find the information you need quickly, we've collected answers to some of the most fequently asked questions about Titan CMS. Can Titan CMS be hosted in the cloud? Yes! There are many Microsoft Azure-based hosting options available. You may also self-host Titan CMS in your own private cloud. Titan CMS is an enterprise content management system originally released in 2002. Packed with built-in features, robust security, user management, workflow and more, it is the preferred CMS for hundreds of clients who require effortless content management, to build and manage websites, portals, intranets, extranets and more. Titan CMS is developed and maintained by Northwoods Web Solutions, a leading management consulting, digital marketing and software development firm who has been in business for over 20 years. Can I build my own website on Titan CMS? Yes. A handful of clients have the in-house skills in order to develop their own sites. We have a team of experts available for consulting, assisting, or building your site based on your vision, and/or our strategy. What plug-ins work with Titan CMS? Titan CMS does not require plug-ins. Our base product includes an impressive array of functionality out-of-the box. There are no version control problems or security concerns. Web Accessibility is important to me. How can Titan CMS help? Titan CMS Version 6.9 includes an Accessibility Checker that helps identify potential accessibility issues. Once initiated, it will even suggest solutions so you can quickly improve your content. Is Titan CMS GDPR compliant? Titan CMS has a GDPR add-on package available for those companies who wish to ensure compliance with the new GDPR guidelines. Contact Us for more information. Where can I find documentation for my version of Titan CMS? The Documentation section of the Titan CMS website contains release notes and other documentation for your version of Titan CMS. Can my business self-host Titan CMS? Yes! There are a variety of circumstances where our clients wish to self-host. Please contact us for more information. Is training offered for Titan CMS? There are a variety of courses provided as well as customized individual or group training available for all skill levels, from beginner to expert. How often is there a new release of Titan CMS? There is a new release of Titan CMS 2-3 times per year. New features and functionality recommendations from our client partners are also considered. New releases result in an up-to-date product, allowing our clients to maintain their competitive advantage. I want to contact someone about Titan CMS. Who do I call? I need support for Titan CMS. Who can I contact? Support is available for Titan CMS in a variety of ways and can be found on our support page. Schedule a Demo of Titan CMS with one of our experts. © 2019 Northwoods - all rights reserved.